At the heart of this third volume of his Western saga remains the beautiful and determined Tasmin Berrybender, now married to the 'Sin Killer' and mother to their young son, Monty. Although Tasmin intends Monty to become an English gentleman like his grandfather, he lives the childhood of a savage. Where is the next CD? I can't get enough of the Berrybender party and the Sin Killer. I love McMurtry. I have Lonesome Dove, Return to Lonsome Dove, Dead Mans Walk, Streets of Larado, Etc...Keep Em Commin. A great historical perspective of the early 1800's. "In The Year of Our Lord, 1832." As Mary Berrybender would say. Keeps you wanting more. Simply a great way to spend the commute. Almost a romance novel, but plenty of action and rich characters. 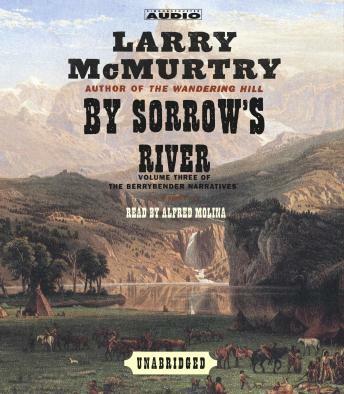 McMurtry at his best. Not a really a good story..Kinda like gone with the wind with main female character marrying one man & wanting another!!! I would almost class this as a darn romance not a western!